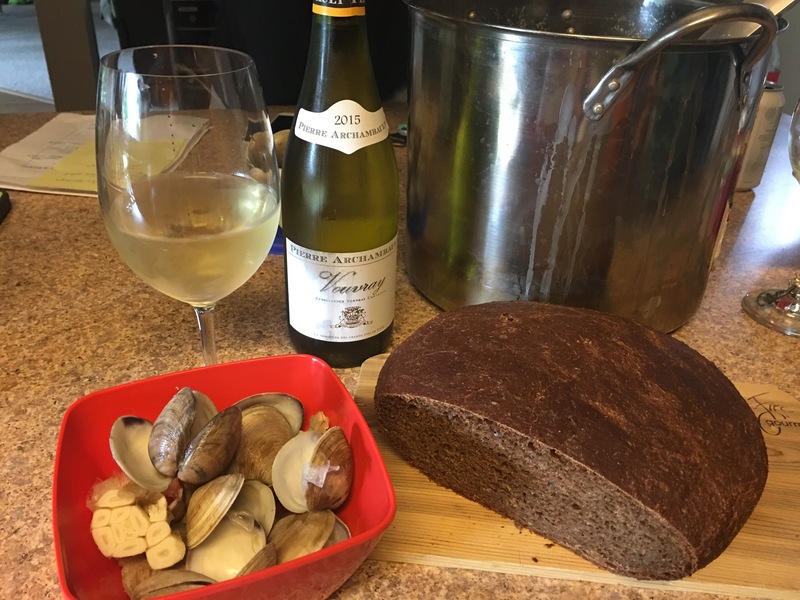 A Saturday afternoon throw down– clams, some homemade Pumpernickle bread and some Vouvray. Five very happy people standing around the pot, pulling out hot clams and cloves of garlic and washing it down with Pierre Archambault 2015 Vouvray. Happy campers just trying not to fork each other in the midst of finding the clams! I love Saturdays! !